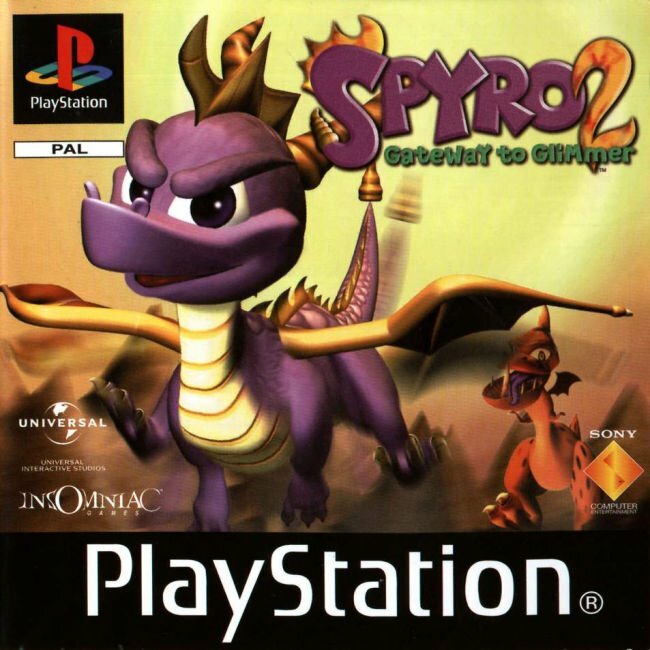 Spyro 2: Gateway to Glimmer, or as it's also known, Spyro 2: Ripto's Rage, was the second Spyro game to appear. 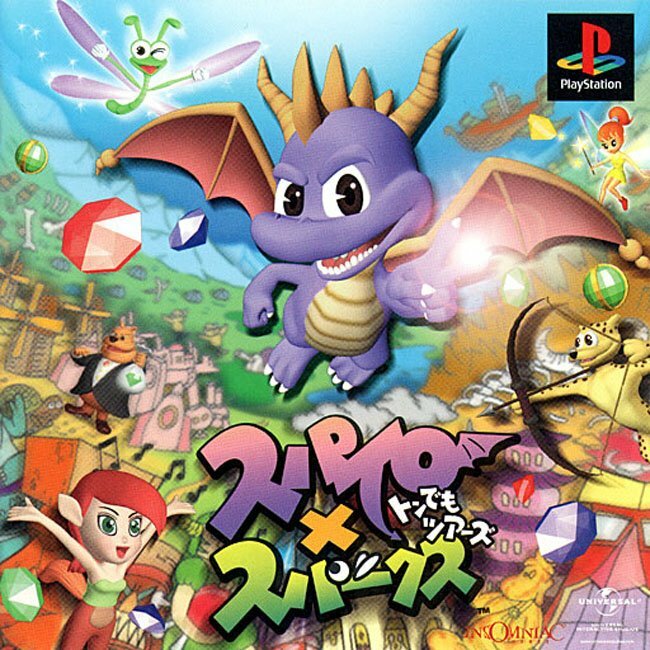 And as with Spyro the Dragon, this was a PlayStation exclusive. This second game in the original trilogy, takes Spyro from his home in the Dragon Realms, to a distant unknown land of Avalar. 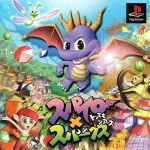 Here Spyro meets plenty of new friends as well as some enemies too. He also learns some brand new moves to boot. Spyro decided to take a holiday to Dragon Shores. 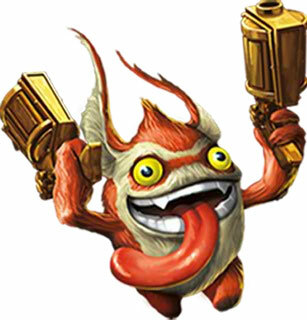 He invited his best friend Sparx to join him and together the duo soared through a magic gateway, off for a well-earned vacation. They were going to rest up from their victory over Gnasty Gnorc in their first adventure. But fate was about to throw a wrench in their travel plans. X Jump. Press again when in the air to glide. The gems have changed a little from the previous game. They are now more shaped then before and one has been changed colour completely. They also now come in different containers. Flamable Baskets, Chargeable Vases, Exploding Vases, Unbreakable Chests, Headbash Chests and just lying about on the floor. You will no longer get gems from killing things as they will only release Spirit Particles now. including Riptos arena,Gulps overlook and Crushes dungeon! Yeah. My dad plays DOOM 2 (not doom 3 cuz the computer wont work w/ it) (and doom is the ONLY game he plays) and he says that when the guy dies, he has a blood- curdling scream!! I've never heard it though. Its hard to get my dad to laugh at a video game, and only gtg, std, yotd,and aht made him laugh! I like it in aht when you, as any character, attack the wall!! He HE HA HAAA!!! Almost all cartoon-like games are like that. Only the realistic games don't have funny deaths.
! That's so sadistic, but yeah, some of the painful deaths are kinda funny somehow, in a cartoony way. I LOVE dis game its sooo funny!! I like when you die in lava!! And when you stand in front of gulp n gulp smashes you-it shows you flat!! it is sooo funny!! HEEE HEEE HEEEE!!!!!!!!!!!!!! I dunno, Bianca. Maybe, like, 10000000000000000000000 x? Hey don't ask me Bianca I don't even have a game that has Ripto in it! 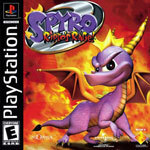 I wish I could get all the Spyro games. WWWWAAAAHHHH!!!! Just how many times can Ripto resist death anyway?! Maybe the makers did that on purpose? OK..I feel STUPID posting this... but you can see Ripto's face in the flame by Spyro. You've got a third back-up in that Spyrofan123. 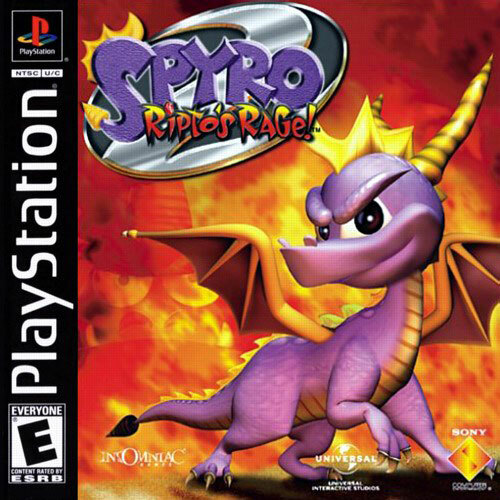 I'm in America, and i like the Ripto's Rage cover. Its much better. I dont' really like the other one, although i kinda like the Japanese cover. sorta.